The Clifton Bridge Guesthouse at the heart of historic York, offers exceptional accommodation, and the perfect location for business or leisure travellers. The Guesthouse offers 17 bedrooms, all en-suite and well equipped with all you could need for your stay. It is ideal for sightseeing or shopping being located only a fifteen minute walk away from the city centre via a delightful short riverside walk. 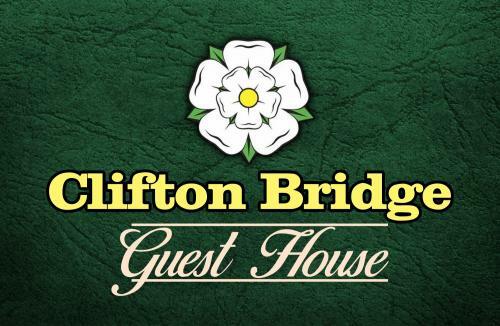 Here at the Clifton Bridge Guesthouse we pride ourselves on our comfortable, well designed facilities, warm welcome, hearty breakfasts and easy access to the delights, attractions and beauty of York and the surrounding area. Do please give us a call or send an email and we will be more than happy to help you plan your stay in this beautiful part of the country.